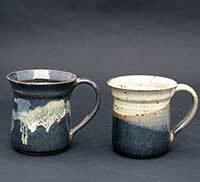 All of my functional stoneware and porcelain is designed for everyday use. 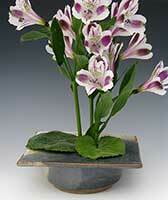 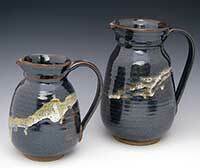 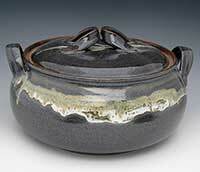 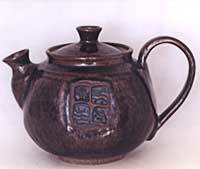 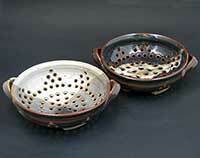 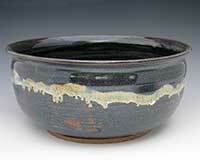 It is fired to 2350° F in a reduction atmosphere which results in a wonderful variety of glaze effects. 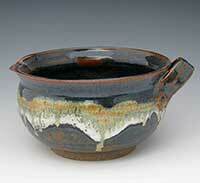 Featured here is an iron blue with other glazes layered on top of it. 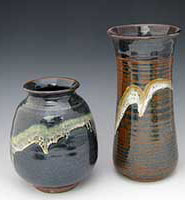 CLICK PICTURE FOR MORE INFORMATION AND LARGER VIEW.